First and foremost, Aarhus Lounge Quartet play great songs. The band was formed in 2017 by singer Mette Pontoppidan and bass player Hans-Jørgen Brændsgaard. Later on, guitarist Jakob Kläning and drummer Ulrich Hein were added. The band members are all professional musicians who gathered most of their experience from other musical genres. Mette Pontoppidan is a trained church singer and has a background in classical music. The rest of the band members have many years of experience from the rock scene, which they still frequent, and have performed in numerous acts. However, they all share a passion for jazz music. The band's repertoire is partly based on classic American jazz and blues traditions. Famous classics by artists such as Ella Fitzgerald, Sarah Vaughan, Peggy Lee, and Nina Simone to name a few. Yet, they have also been greatly inspired by soul and R'n'B music with covers of Ray Charles, The Supremes, and Billy Joel. All will be tastefully performed with the band's special sound that is equal parts tradition and reinterpretation. 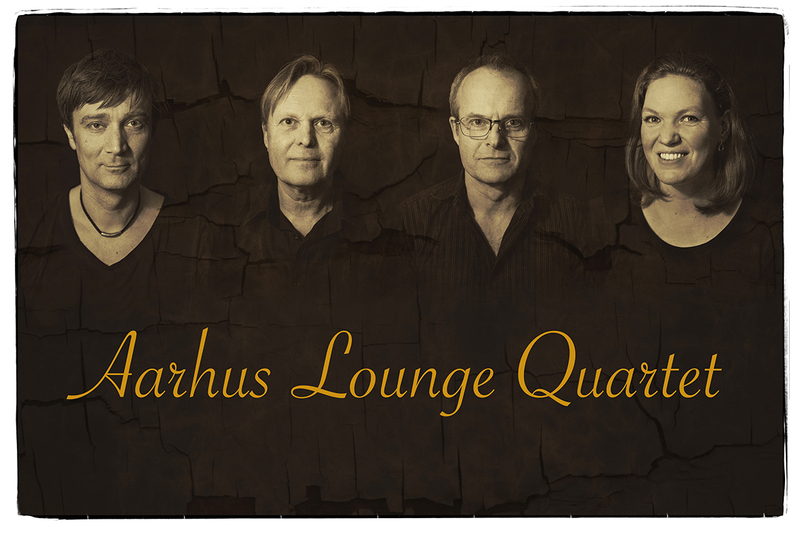 Everything with Aarhus Lounge Quartet revolves around a good melody. Mette Pontoppidan's warm voice is elegantly supported by a tight band who can be both authoritative and playful.